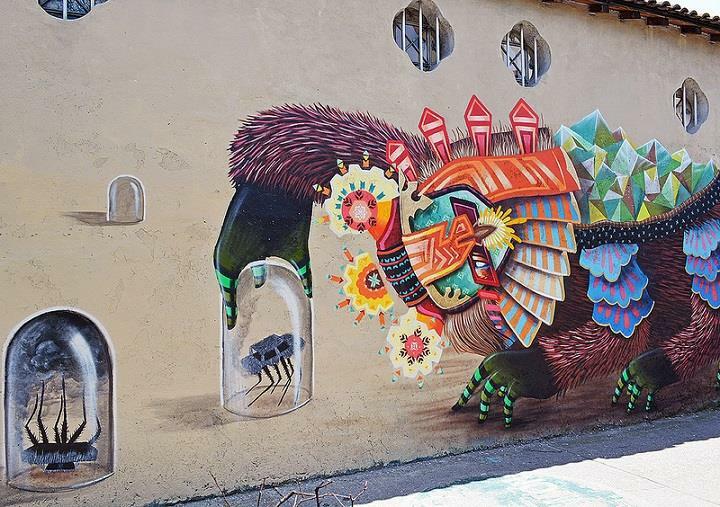 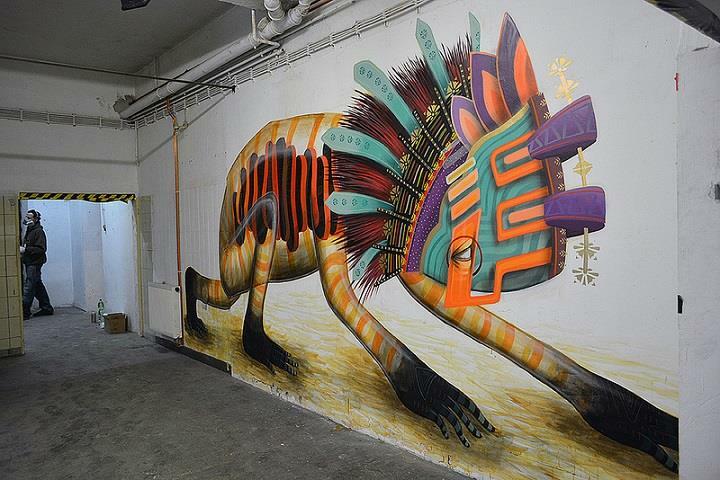 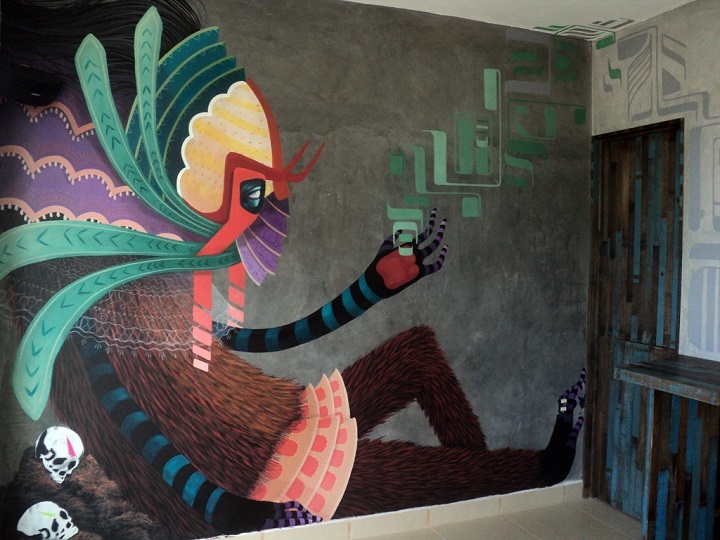 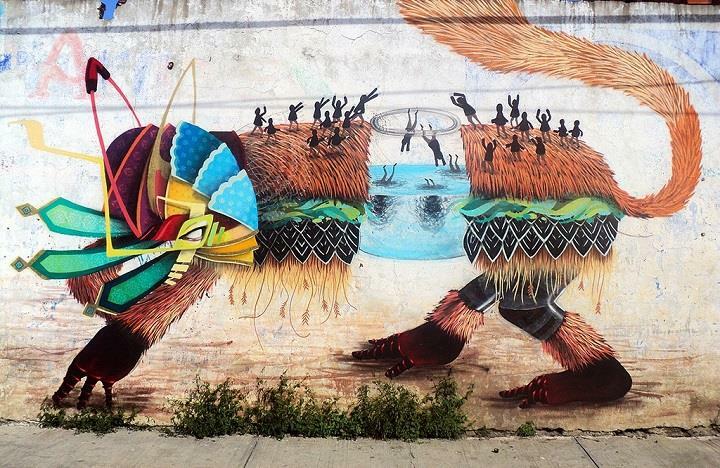 Mexico City-based painter and street artist Favio Martinez (aka Curiot) creates stunning murals and illustrations inspired by fascinating stories. 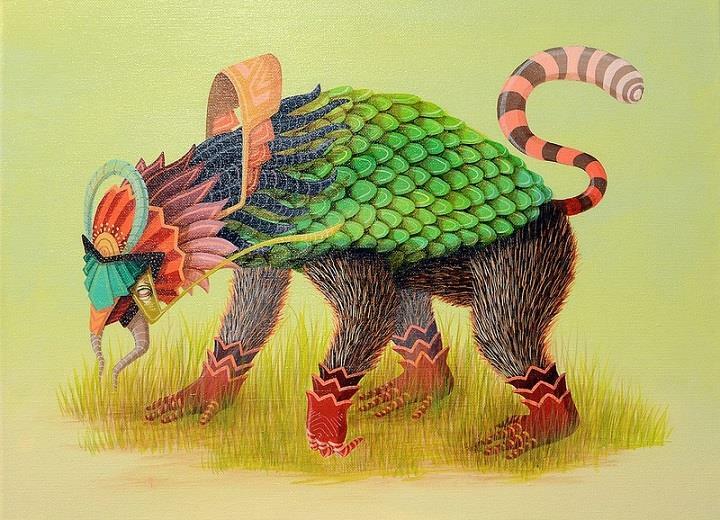 He portrays mythical creatures, hybrids, half-animal half-human figures living among miniature men. 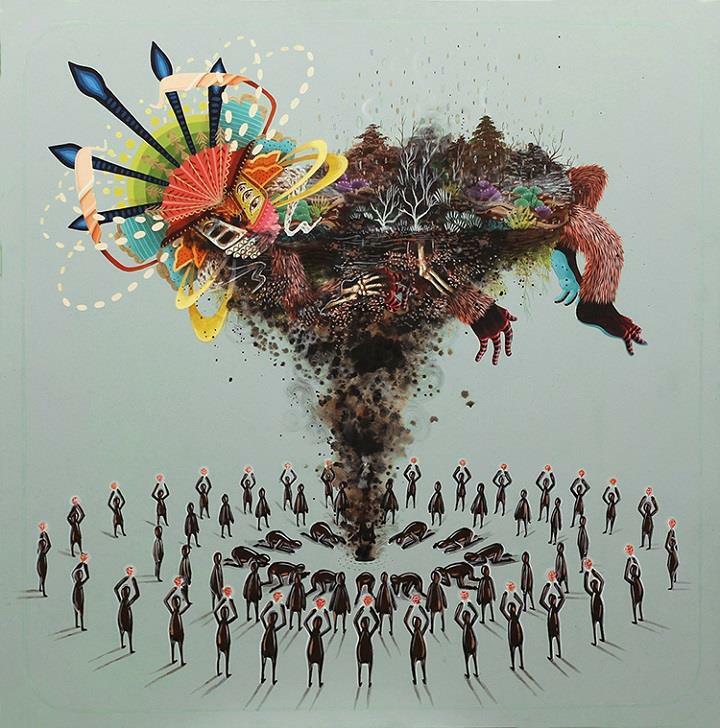 The scenes allude to Mexican myths and legends such as the Day of The Dead. 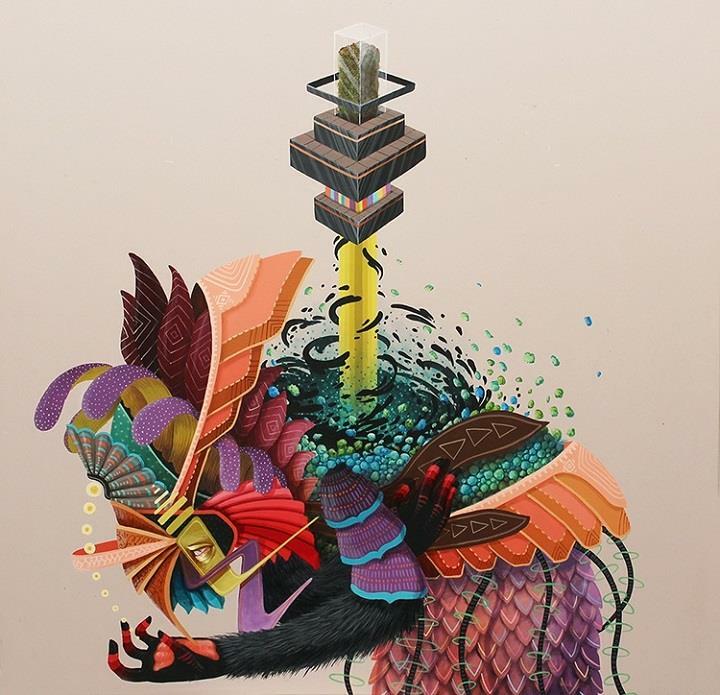 Curiot’s graphic creatures often open up, revealing the inner workings of tiny people or displays of robotic rituals, living as giant caretakers of the three dimensional world. 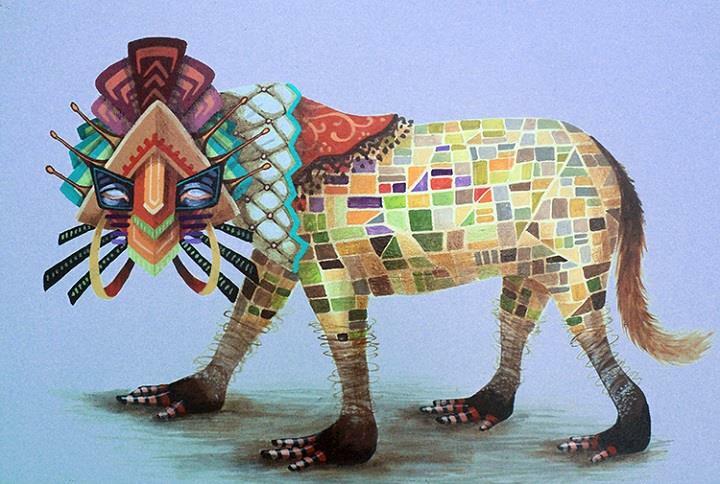 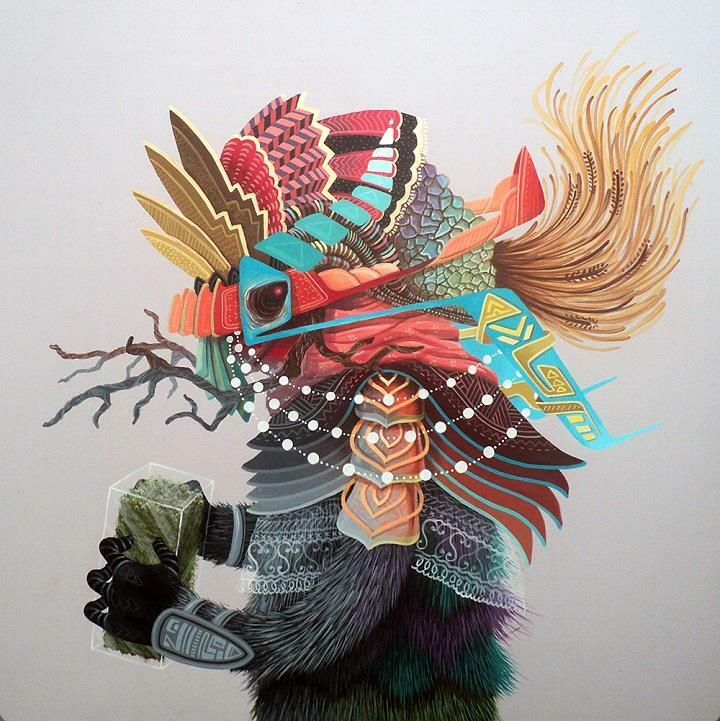 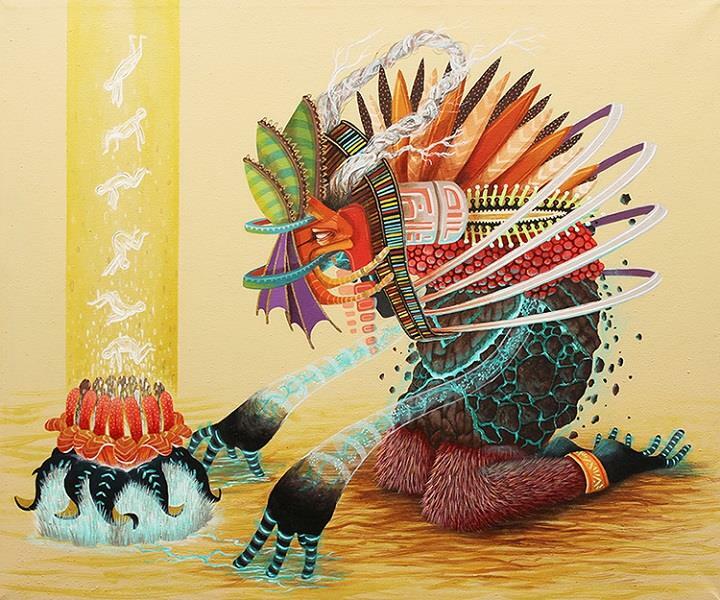 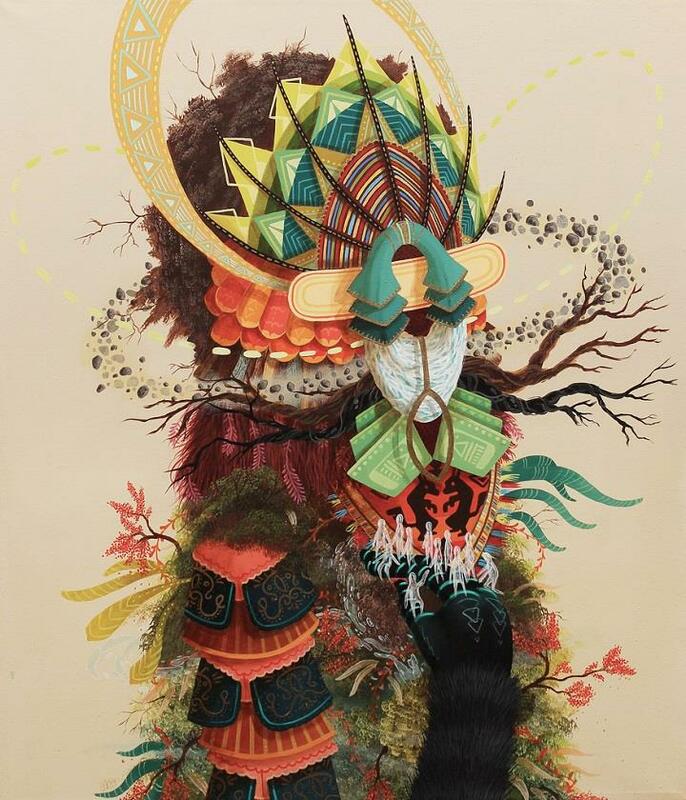 Favio’s works are enriched with bright and intense colors, often carrying ethnic elements, tribal and geometric patterns with a dreamlike aesthetics.